‘Free water refills’ is a really simple concept with a really big potential result. 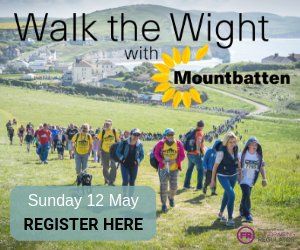 Find out more on Saturday 30th March at the bottom of Ventnor’s Cascade and you could win a free reusable water bottle. Planet Aware will be singing about the benefits of tap water – literally – at an event to promote Refill Isle of Wight on Saturday 30 March at 2pm. Planet Aware, which runs community events and other projects to encourage smarter resource use, is on a mission to make it easy for everyone to refill their reusable water bottles by introducing more than 200 Refill stations across the Isle of Wight. Planet Aware will be at Ventnor water fountain (bottom of the cascade) where they will be refilling water bottles for anyone passing by. They and other Refill Isle of Wight volunteers will be accompanied by Glenn Koppany and Linda O’Connor, who make up the duo Coppersmith. Glenn has penned a specially commissioned song about the Refill campaign, which will help make people aware just how easy it is to refill their reusable water bottle rather than buying water in a single-use bottle. The water fountain will be specially dressed for the event. Refill Isle of Wight is being supported by Southern Water. Planet Aware will also be running a competition for people wanting to win a reusable water bottle for themselves or a friend. People can enter the competition by coming along on the day and showing the downloaded Refill app on their phone or by posting a picture of their nearest Refill Station on the Plastic Aware Facebook page if they can’t make it to the launch. You can find out more information about Refill Isle of Wight by visiting the Planet Aware Website or emailing plasticawareiow@gmail.com. Refill works by encouraging participating cafes, bars, restaurants, banks, galleries, museums and other businesses to sign up to the free Refill app and put a sticker in their window alerting passers-by that they’re welcome to fill up their bottle for free. The aim of Refill, which is a national scheme set up by Bristol-based not for profit organisation City To Sea, is to reduce reliance on single-use plastic bottles. “We are so lucky to live in a place with such stunning countryside and beaches. Plastics, including single-use plastic bottles, are now the most frequently found type of litter on UK beaches – so anything we can do to reduce the amount of unnecessary single-use plastic will help tackle this problem. “We know lots of businesses already offer this simple service, but find customers often feel embarrassed or cheeky for asking. 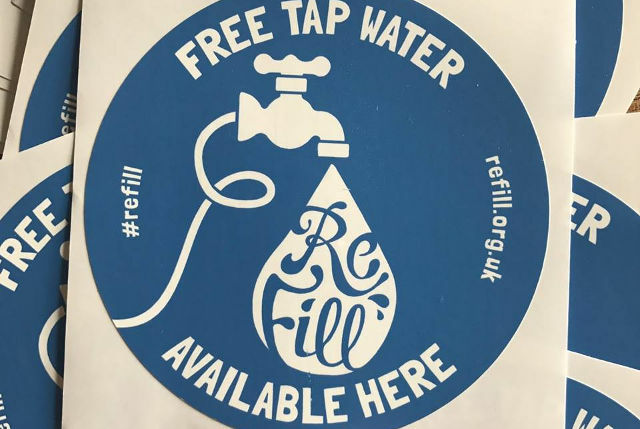 “By letting people know they can look for Refill stickers or posters and be confident they can refill for free where they find one, Refill Isle of Wight is encouraging more people to take one small step away from relying on single use plastic bottles. 2 Comments on "Fighting unnecessary single-use plastic with free water Refill scheme"
Leal’s Tea Gardens in Godshill have just joined the Refill scheme. It’s a great initiative. A nice idea but we cannot drink the tap water at our house because it tastes awful and is undrinkable. So we have to buy bottled water. Every so often there are reports that tap water on the island isn’t fit to drink.